You can easily top up or buy diamonds in Rule of Survival (ROS) using your Android smartphone via Globe / TM load. No need to use credit card and other online payment methods, you can directly use the Google Play G Pay to complete your first purchase. All you need to do is reload your prepaid account with regular load depending on the amount of diamonds you want to buy. By simply clicking the top up button, you will be redirected to the list of options that you can choose from 60, 120 up to 6000 diamonds. The cheapest amount you can buy cost you around 50 to 70 pesos plus the tax charge. 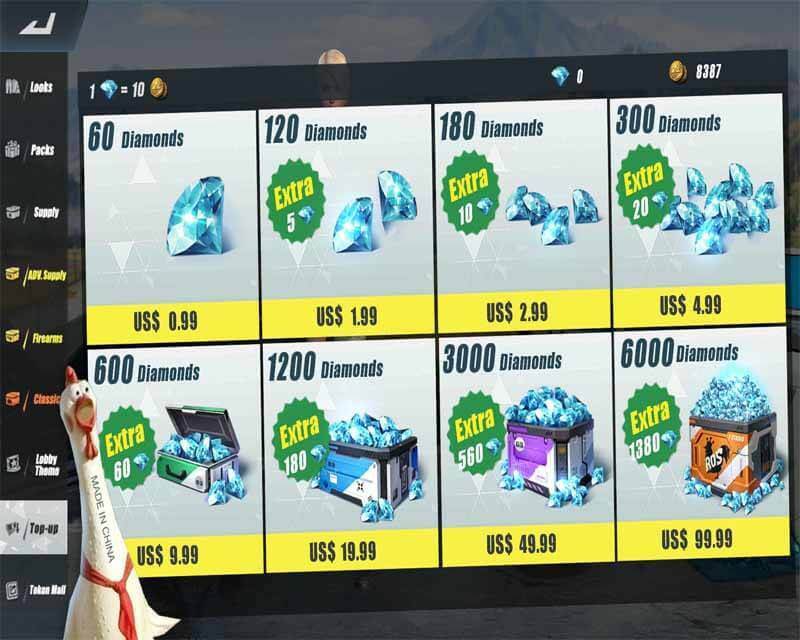 To be safe, just reload your Globe /TM SIM with 70 pesos if you select the $0.99 or 60 diamonds. Before you start the payment process, you need to reload your Globe account with a regular prepaid load at your nearest loading station and retailer. Once done, just follow the steps below for your reference. Connect to the internet using data or Wi-Fi and open the Rules of Survival game app. Go to Store then select Top up or click the + icon beside located on the upper part of the game menu. Select the desired amount you want to buy based on your regular load balance. Click Continue then select the “Globe Telecom” (prepaid) or “Use Globe Telecom billing” (postpaid) dropdown option. Click Buy and wait until Payment Successful message. Wait for a few minutes before your diamonds reflect to your account. Your load will automatically deducted and you will receive an SMS notification regarding your load or account balance. This method will also works for TM (Touch Mobile) subscribers. Do note that you need a separate data connectivity or an internet promo to use the game app in top up process.